I am very thankful EACH and every year but this year is definitely NO EXCEPTION! Christmas actually came in early with our advance Christmas party with Beauty Blogging Friends. Celebrated at Aruga by Rockwell, we all wore black and did exchange gift during the month of November! Then, we celebrated Christmas with the Sample Room family at The Flame Restaurant at Discovery Primea Makati. 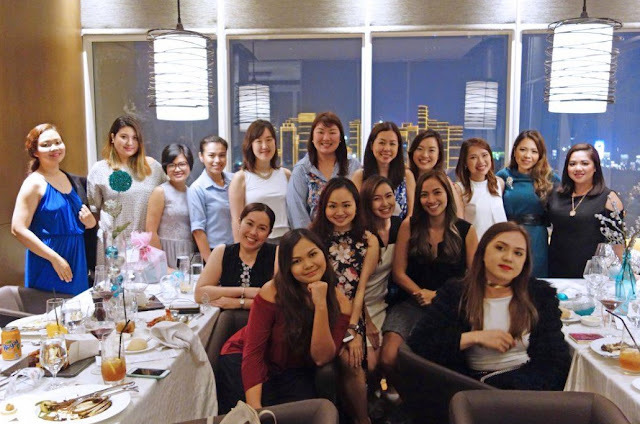 Aside from the Annual Christmas Party, Sample Room also celebrates their 4th birthday with Partner Bloggers and Beauty Insiders! Then, I was joking Mr. AMW how I realized we have a good number of friends! At the start of the month, we celebrated my friend's birthday at the same time exchanged gifts with my highschool friends! 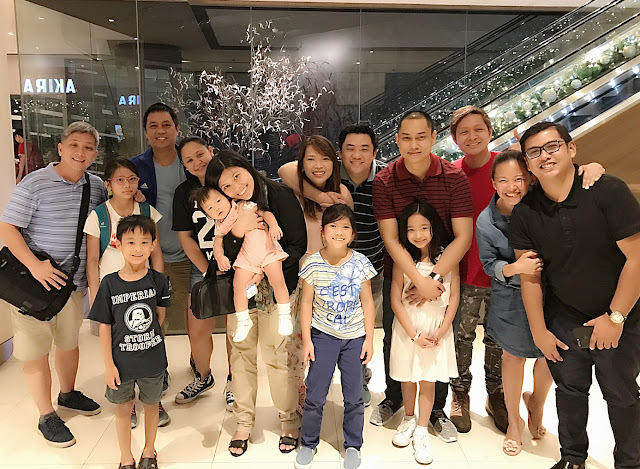 So funny how we all turned into Ninongs and Ninangs to the kiddos! So we're not just "barkada" we are also "Kumares and Kumpares". Then another dinner with another group of highschool friends! We celebrated at a wonderful Japanese restaurant hidden inside San Juan, the restaurant is called Tomo Japanese Restaurant and reservations is highly recommended! Food tastes great and price is affordable. Then we met up with my College Barkada at Kettle Shangri-la Mall! Kettle has always been my to-go-to place when the family is craving for Fried Chicken! Ang sarap nga naman niya talaga! Then just this week, Mr. AMW's highschool barkada get-together naman, they are also my friends because...well, we spent 13 years together in the same school! We ate at Planas Pantry which is located at Quezon City (near Hi-Top Supermarket). It is really a HIDDEN gem and the restaurant serves good Comfort Food! We also celebrated in advance with Mr. AMW's family because my sister and brother-in-law are heading to London for Christmas and New Year. Since we had a great experience dining at Paradise Dynasty, we've decided to take them there! And of course, Mr. AMW has his own office party and we visited and joined in the fun too! Siyempre the little boy has his own social life and celebrated Christmas at Cambridge Preschool. Our Christmas is so hectic but you won't see or hear a complaint from me! It's the best season to touch base with people who touched our lives!